Gin makes sense and gin can also be fun! And from now on, you don’t have to buy your gin “off-the-shelff” anymore. 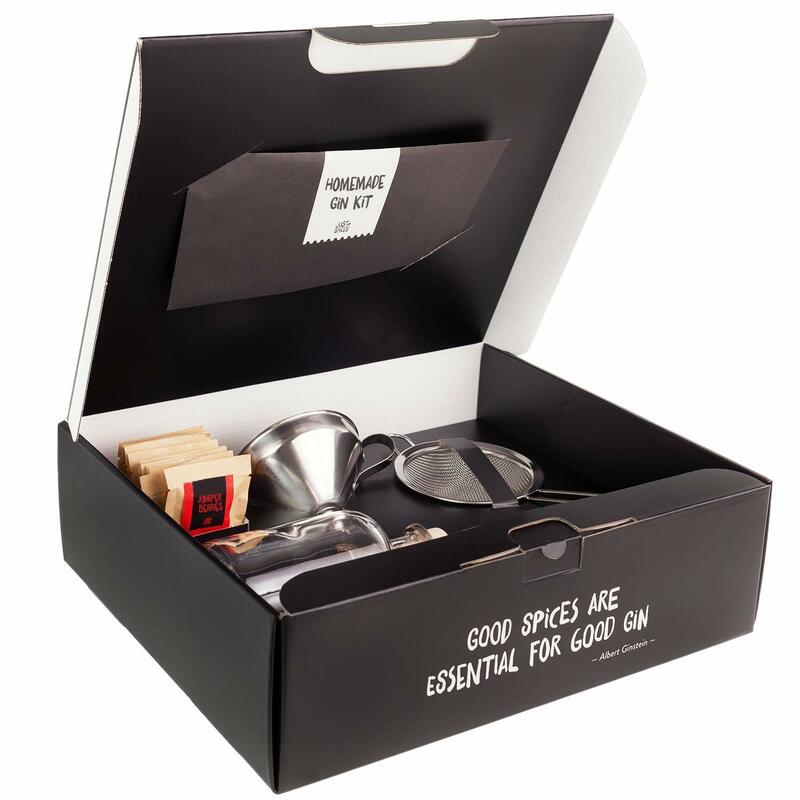 With our DIY-Gin kit, you are the master of taste in your drink. Good spices make good gin, and this set contains numerous spices, such as juniper, coriander, rosemary, orange peel, and pink pepper, with which you can experiment as you like, flavor the basic spirit and create the gin according to your preferences. All you’ll need is a bottle of vodka and let the marvellous creations be-GIN! We’ve also included a DIY guide, 3 recipe ideas, 2 pretty bottles, and a couple of labels that will ensure your gin becomes an ideal gift. The self-made gin is not only an enhancement to your minibar, but also a fancy gift idea for friends, parents or your sweetheart!